Parents can learn knowing their children are cared for while they are in class. The school offers nurseries and staff who love of working with infants and toddlers. We provide all the classes needed to complete an Arizona high school diploma. Teenage Parent High School supports pregnant teens and young parents to continue high school. Infants and toddlers learn at TAP, too! 4th Quarter Registration is Open. First Day of 4th Quarter is March 18! Call today to find out more about our registration process! A NEW BEGINNING FOR BOTH OF YOU! Start your new path to success today. Becoming a new parent is not easy, but you can achieve parenting success and complete your high school career at the same time by attending TAP High School. TAP is currently accepting applications for the 2018- 19 school year. If you are pregnant or parenting and wish to attend TAP, please call us at 225-3250 or 225-3256 and stop by for a campus tour, to pick up a Registration Packet and to learn about your new beginning. To learn more about TAP, watch the videos to the left. TAP will hold on going registration throughout the school year. Registration includes completing registration forms and surveys, completing a health intake for students and babies with TAP's nurse and completing an academic intake with TAP's counselor. Please also bring proof of residence, shot records for student and baby, birth certificate (if you are a new applicant), and unofficial transcript from your former high school or middle school. Students will also sign up for breakfast and lunch services. TAP will hold school at Reid Park on Friday, April 5 for our Annual Field Day. The day will include designing summer fun for babies, senior photos, sun and water safety, and a trip to Reid Park Zoo. The day is designed to celebrate the TAP community and prepare students for the summer months when they will be parenting their babies through long, hot summer months. TAP will host our Annual Chili Cook Off from 5 to 7 pm on Friday, April 12! Tickets $5 Call 225-3256 We are raising money for the Gillespie Scholarship which supports students with Day Care Needs after their babies age out of TAP Nurseries. Please join us to taste and vote for and feast on your favorite chili, with corn bread, salad and desert! Are you a pregnant or parenting teen who wants to finish high school? Are you a pregnant or parenting teen? Have you been out of school for a bit or maybe too long? TAP offers a small, safe environment where you can attend school to learn best practices about parenting, learn school and career skills, and earn credits toward graduation. TAP graduated 5 seniors in December 2018, two of whom registered with TAP in the fall of 2018 with the goal of finishing high school by the end of the semester! TAP is designed to help students make a plan, reengage with high school and make notable progress toward graduation. We have small classes and we are well versed in supporting teens through pregnancy and their first years of parenting, all while keeping students focused on their goals as students. Interested? Call 520-225-3256 to learn more. Second semester starts on Monday, January 7. TAP High School is always striving to improve our services and facilities. TAP is a high school that offers all courses needed for high school graduation in live and online format. The school has 4 nurseries to ensure that students learn best practices with respect to birthing, parenting and their own academic learning. If you have not been to TAP or are a returning student, ask about our new nursery improvements and construction. In 2018-19, TAP redesigned our 4 nurseries to serve babies from 6 weeks to 24 months of age. This means that TAP students can attend school with their babies for up to two years. Nurseries also serve as hands-on learning labs where students earn credits while they learn and perform baby care practices while pregnant and parenting. Not sure about safe parenting practices? Learn them with us. Don't know what to expect when giving birth? Learn what to expect, questions to ask and things to request during the birthing process from our full time nurse. Becoming a parent can be challenging, but TAP and our nurseries are in place to support our students through this amazing and challenging experience. For the past year and a half, TAP High School has been collaborating with the United Way of Southern Arizona's Cradle2Career (C2C) Project to study the impact of student attendance (and absenteeism) on their progress toward graduation. This partnership has contributed to TAP's ability to track the success of our new Advisory Course, our new Conference Period and our new focus on improving student attendance. We all know that if you are going to graduation from high school you must attend school regularly. This can be a big challenge for pregnant and parenting teens. TAP is proud to work with the amazing folks from United Way and our other community partners to continually improve to services to and the success of our students. Finishing high school while raising a new family is often a surprising and very stressful challenge to our students and their families. TAP is structured to support students and their families through this experience and we have a high level of appreciation for the local organizations and volunteers who help to support our mission. TAP is utilizing TUSD's new Code of Conduct (formally Guideline to Student Rights and Responsibilities). Look to your right on this web page to find an online copy of the new Code of Conduct. Please note that TAP HS's top priority is keeping our school safe, welcoming and kind. Students who are teen parents experience a high level of on going stress and as a school we work to meet the extended and high rate of needs that students experience daily. As a school, TAP makes every effort to use restorative discipline and practices that support students to a. learn from disciplinary situations so they do not occur a second time, b. change students' unwanted behaviors to behaviors that are productive in the school setting, and c. repair relationships that may have been broken during a disciplinary event. As a school we utilize a multi-tiered system of supports to provided a wide ranging system of supports to keep students in school and making progress toward graduation. TAP will run a lock down drill during April to ensure that all community members are prepared for potential school threats. Due to the unique nature of our school, TAP will hold a training meeting prior to our practice lock down. TAP practices monthly fire drills and will provide training to students on evacuation procedures in case a situation ever deems an evacuation necessary. Lockdown drills will be practices quarterly. Donating Clean and Lightly Baby Clothing, toys, books, strollers, car seats, and more. TAP High School students benefit greatly from community donations of gently used items that support them as high school students and new parents. TAP is also seeking monetary donations for the Gillespie Scholarship which is used to support students in paying for outside daycare when their baby ages out of TAP nurseries. Please think about writing a small check to TAP for this purpose. A few dollars will help to support a student to finish high school. Many TAP students struggle to make ends meet for themselves and their babies. Though TAP students benefit from a wide range of services to help provide basic necessities for their families, they often struggle to provide formula, diapers, and/or food during the last 10 days of each month. TAP High School has been very privileged to work with many community organizations to help support our students with basic needs, but there is always a need for emergency food cards (e.g. in dominations of $10 - 25 to Safeway, Fry's, Walmart, etc.). Arizona Schools benefit greatly from your tax credit dollars. TAP will use these monies to pay for educational field trips, our character education program, and to provide additional educational experiences like music, art and tutoring. It is not too late to donate your 2017 tax credit dollars to Teenage Parent High School by going to https://az-tucson-taxcredits.intouchreceipting.com/ . TAP is listed under alternative schools. TAP greatly appreciates your support and we will put your tax credit dollars to good use! You can also make a charitable donation to TUSD's Educational Enrichment Foundation which supports TAP students with shoes, glasses, scholarships and much, much more! The statistics with respect to teenage parents who do not complete high school are staggering! Teenage parents often face destabilizing experiences that keep them from attending and completing high school. What can you do to help a pregnant or parenting Tucson teen graduate from high school and prepare for college or the work force? Share what you know about TAP High School. TAP is often the single stabilizing system that provides the opportunity for many capable teen parents to complete their high school education and plan for a well informed and supported next step so they can become strong citizens and contributing members to their children and their communities. Give the gift of TAP High School to a teen parent by having them contact us at 520-225-3256. We provide a caring, inclusive, safe, supportive, and engaging environment for teen parents and their infants and toddlers. TAP is an accredited high school with we provide both a valuable education in conjunction with a high level of support for teens who are facing the challenges of parenting. In the new year, please share your knowledge of TAP with a pregnant or parenting teen who needs to finish high school. TAP High School provides a well stocked clothing bank of infant - toddler clothes and baby items. The school also provide clothing for students in need. Students can borrow from or contribute to the clothing bank as needed. TAP also accepts clothing, toy, book and other baby item donations from community members in order to meet the needs of students and their babies. Share Your TAP/TUSD Event with the whole community. 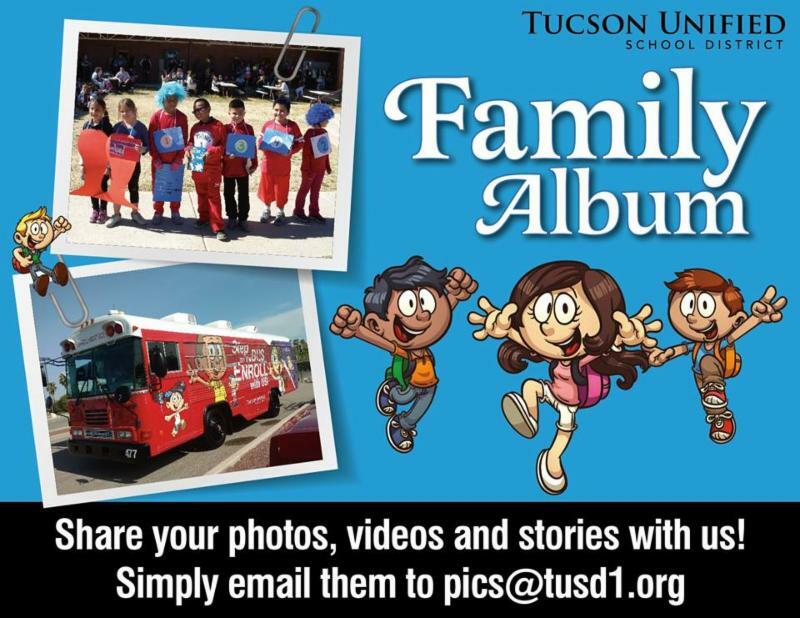 Celebrate the Great in TUSD in our Family Album! On Wednesday, May 23, 2018 11 amazing young women graduated from Teenage Parent High School 2018 Spring Graduation Ceremony. We are extremely proud of the immense determination and persistence exhibited by these graduates. If you are a pregnant or parenting teen who has not graduated from high school, join us and fulfill your high school goals and dreams. A BIG Congratulations to our 2018 Graduates! Brize Williams receives a scholarship from TUSD's Education Enrichment Foundation. Brize will attend Pima Community College. TAP: Where Possibilities are Endless! At TAP, New Beginnings are Within Your Reach! Proof of Residency, Shot Records, High School Transcripts, Information about your Pediatrician and OB/GYN, Birth Certificate if you are new to TAP, SNAP Account Number, Baby Shot Records. Teenage Parent High School has more than 50 years of experience in supporting pregnant and parenting teens to continue and graduate from high school. The school offers four nurseries, staffed with experienced Infant Care Specialists who care for babies and mentor teens in best parenting practices. TAP High School provides all classes needed to complete a TUSD High School Diploma and all courses are aligned with a rigorous curriculum developed to prepare students for college and career success. TAP teachers are highly qualified in multiple content areas and are very experienced in meeting the diverse learning needs of our students. TUSD strongly encourages students who are pregnant to enroll at Teenage Parent High School to learn best parenting practices prior to giving birth. Many students have graduated from TAP while others have returned to their home schools to graduate. See videos below to hear from former students about TAP and their experiences at our school.